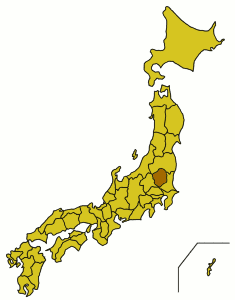 Kanuma City in Tochigi Prefecture is currently accepting applications for an ALT Position. This is an elementary-level position with remuneration comparable to JET, and it is open to people who are not currently living in the Kanuma area but are willing to relocate there. The deadline on this one is coming up fast, so if you're interested, take a look below then get cracking! Qualifications: Born in a country that uses English as its primary language. At least a Bachelor's Degree. Experience teaching English at a school in Japan or TEFL/TESOL certificaiton. Conversational Japanese ability (enough to handle daily communication and lesson planning with school faculty). Interest in Japan. Living in Kanuma City or intent to live in Kanuma City. Able to commute to any location in the city. Ability to maintain own lifestyle in Japan without any serious impairment. Duties: Standard ALT job, spread across 4 elementary schools. Working Hours: 8:15 - 16:00, Monday to Friday. Remuneration: Monthly, 300,000 yen. If you choose to live in their provided apartment, they will pay half of its rent. To apply, send in their application form, filled out, a copy of your passport (including your current landing permit), a copy of your Alien Registration Card, a copy of your diploma, and a recommendation from a previous employer, if possible. Interview: Applicants will be informed of interview time and place if shortlisted. The interview will include a mock class demonstration.